According to the PEW Research Center, as of May 2013 72 percent of online U.S. adults use social networking sites. Today, social networking site use is a major activity for internet users from a wide range of demographic groups. Younger adults are especially avid adopters, but social networking continues to grow in popularity for older adults as well. 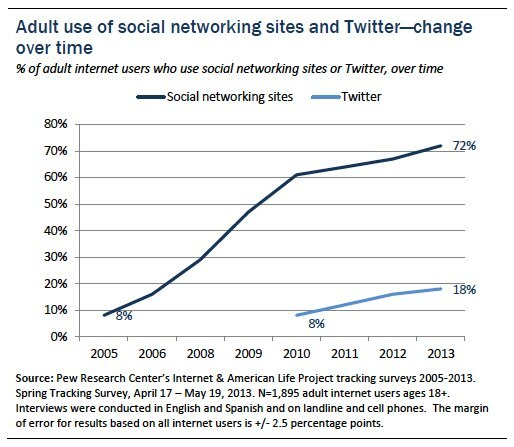 Six out of ten internet users ages 50-64 are social networking site users, as are 43% of those ages 65 and older.